My Internet does not work! How can I find the problem? 27. My Windows computer is running out of storage. What is using it? See also: My Android device is running out of storage. What is using it? Wikipedia has a list of disk space analyzers. 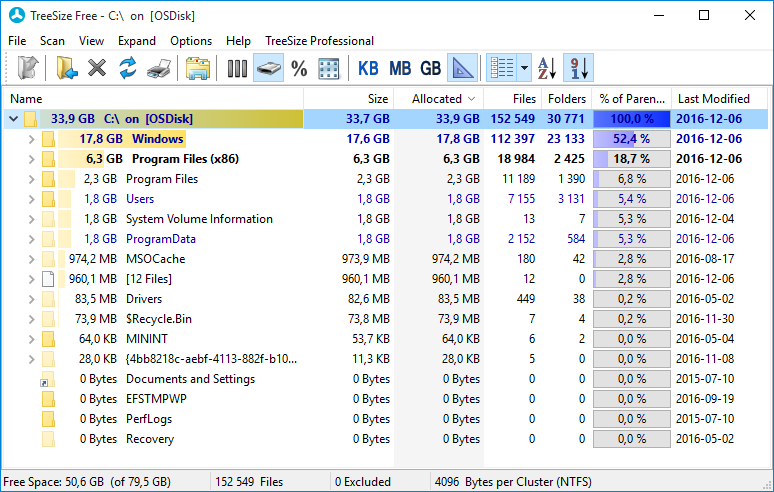 Disk space analyzers do a scan of the file system and display what is using up all the resources. WinDirStat downloadable from the WinDirStat homepage has also been used with success. After installation it will scan the hard drive and display a nice window that looks like a file manager. It will display the size for every directory and the contents in it.